Free of use swimming pools at Champa Island Resort or Cham Oasis Resort Condotel. Discount 10% on F&B service at Champa Garden Restaurant, Apsara Coffee shop, Karaoke, breakfast buffet(not to exceed group of 20 pax). 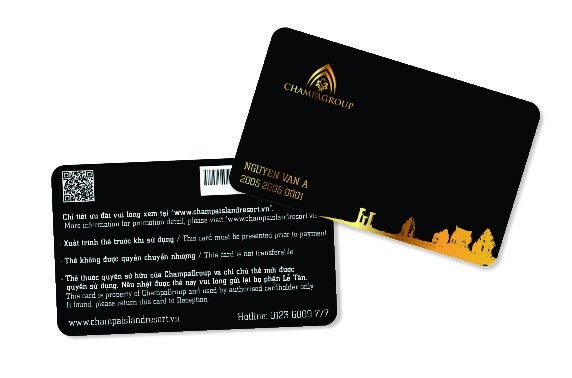 These cards are used by authorised cardholder and not transferable. Not in conjunction with any on-going promotions. These cards are property of ChampaGroup. If found, please return them to Reception. Valid till Dec 31, 2019.